This geeklist shows the Top 50 most played games, i.e. the games played by the most individual people. Too early for the Essen crop to hit the list, so a fairly similar list to last month, with just a few games with dramatic moves. Highest rank on this list - this is only as far back as my data goes - November 09. Still seems to be everyone's favourite short filler! Back in second after being knocked down two spots last month. 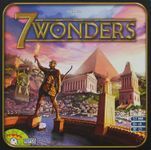 Not sure why 7 Wonders had such a big drop in players this month! 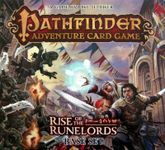 Lords of Waterdeep drops back to more of a usual spot, after last week's bump due to the expansion. 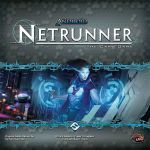 Pathfinder had the 3rd most plays in total of any game on the list - how much longer will it last before the initial buzz wears off. 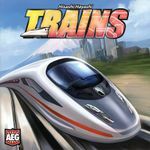 I wasn't too impressed with this one, although I don't mind the occasional game - obviously everyone else likes it more though - seems to settling down to a high spot on the list. The Android fans are still enjoying this! The highest ranked older game - still managing to compete with the new hotness. 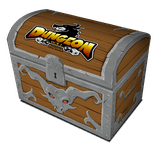 The Caverna players haven't abandoned this yet then! Spyrium was released just before Essen, so enjoys a month of being high in the list before the rest of the Essen games join it. It may be slipping down the list, but it still maintains one of the highest plays per user numbers each month, only beaten by the CCGs/LCGs. 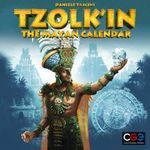 Feld's most popular game on this list slips slightly. I managed to escape playing this this month, but it does still seem very popular. 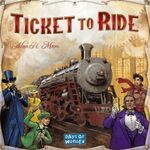 Ticket to Ride jumps up the list as other games fall past it. I was one of the players this month, but wasn't impressed so won't be contributing to plays of this in future months! 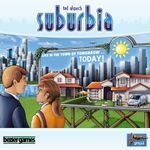 Suburbia has a big jump up the list, due no doubt to the expansion being released. Another older game does well as newer hotter games drop past it. 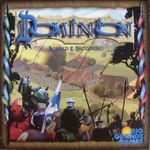 An unexpected rise for Kingdom Builder!? !